Cherokee Millwright has been providing top-notch service since 1993. The company was founded to fulfill the growing need for a full-service millwright company that treats customers like family and equipment with care. At Cherokee Millwright, customer satisfaction is the top priority, and our experts provide the highest quality service. If it can be moved, we can move it; if it can be built, we can build it; if it can be dreamed, we can realize it. At Cherokee Millwright, it’s not what can we do – it’s what can’t we do. Our employees are the driving force behind each successful endeavor. Our project managers and team members are carefully selected and rigorously trained. Cherokee Millwright supports furthering employees’ education by offering an apprenticeship program for team members who have completed a 90-day New-Hire Orientation. Through a partnership with Pellissippi State Community College, this program provides hands-on experience in the field coupled with a solid academic and technological foundation. Cherokee Millwright approaches each project with the same goal – to make sure it is completed quickly, correctly, cost-efficiently, on time and within budget. Our principals have more than 40 years of experience in the industry and have completed a wide variety of jobs. This knowledge enables the Cherokee Millwright leadership to anticipate situations and guide employees to avoid costly delays. We utilize innovative tactics to complete projects by adopting new technologies that inevitably save time and money. Dedicated to each project, Cherokee Millwright ensures proper and speedy completion – not only through the project planning and completion phases, but in continuous maintenance services on machines and equipment. We were founded to provide exceptional millwright and mechanical services in the most professional and cost-effective manner. We take pride that its reputation hinges on the success of its last project. 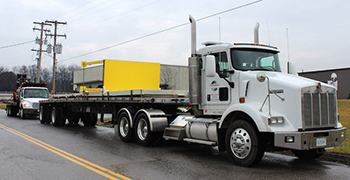 Cherokee Millwright has three main offices to cater to industry demand, but has the capabilities to work in any location regardless of job size. Click here to see locations.